Campaigns distributed on mobile applications via Smart AdServer’s SDK can now be measured by Nielsen Digital Ad Ratings. 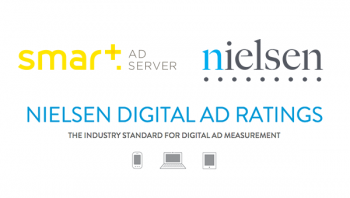 Paris, June 16, 2016 — The full-stack ad technology platform Smart AdServer, which is the leading mobile ad serving solution in France and Europe, has become the first ad server certified by Nielsen Digital Ad Ratings. Publishers that distribute campaigns on mobile applications using Smart AdServer’s SDK can now, with the help of Nielsen distributer Mediametrie/NetRatings, offer advertisers the means to measure audience campaign data. Campaigns distributed on mobile apps via Smart AdServer’s SDK can now be measured by Nielsen Digital Ad Ratings.